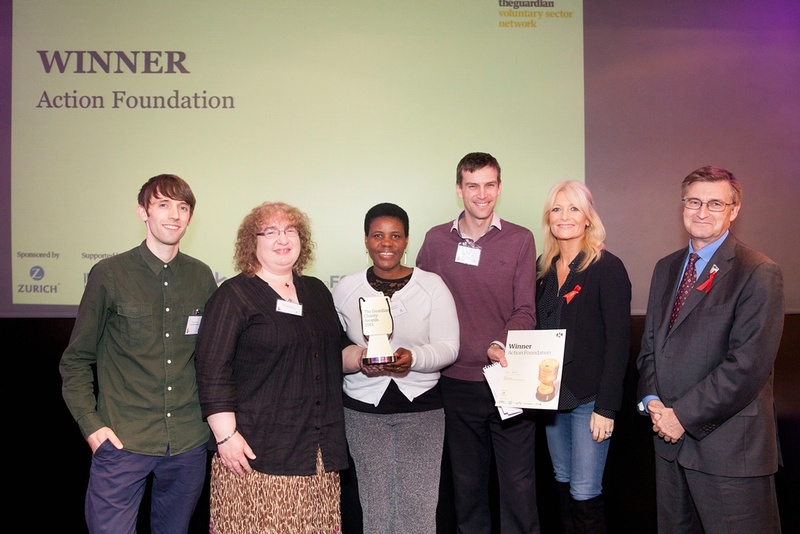 Action Foundation have been presented with one of the Guardian Charity Awards, one of only five winners from almost 1300 entries from small and medium sizes charities, and is awarded to charities delivering innovative and practical solutions. The awards are sponsored by Zurich Insurance and provides £3000 prize money for each winner and a day's business mentoring. Action Foundation based in Newcastle upon Tyne charity was founded in 2006 to help destitute asylum ­seekers, who had been refused the right to stay in the UK but had not yet returned home and so faced homelessness and isolation. It runs three projects: Action Housing provides accommodation to destitute asylum seekers with no recourse to public funds; Action Letting manages property for landlords and lets it to homeless refugees; and Action ­Language provides free English language classes to migrants. “Winning a Guardian award is a huge encouragement to our staff and volunteers, who work so tirelessly supporting our clients” says Julian Prior, Action Foundation’s chief executive officer. It is aiming to open a new house for destitute asylum seekers. The prize money will go towards supporting two residents for a year with housing and travel expenses, access to a food bank and cash support, as well as ­English classes. “Our clients are some of the most excluded in our community as many have been refused asylum and have no access to welfare support or the right to work. This forces them to rely on charities or friends for their survival, driving many into illegal work where they are extremely vulnerable to exploitation including prostitution,” says Prior.